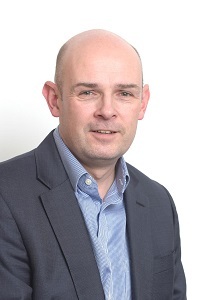 Phil Coles, former Director of Exova Health Sciences has been appointed as Managing Director of Eurofins Food and Water Testing business in the UK and Ireland. Phil has taken over the role from Graeme Risdon who will be moving later in the year to lead Eurofins Food Testing activities in Australia. The appointment comes following the acquisition of Exova's food, water and pharmaceutical testing businesses by Eurofins in a deal worth £18m (23m euros). Ten laboratories and more than 300 staff have now joined the 11 Eurofins sites in the UK, and their global network of 250 laboratories across 39 countries. A senior executive with 20 years' experience across a wide range of businesses, Phil started his career as a Technical Manager in RHM before moving into Executive Management roles running food businesses across many different disciplines and sectors. During his time in the food industry Phil led multi-million pound capital investment projects and has experience of working in both private equity and PLC environments. On his appointment, Phil commented, "The acquisition of Exova's Food, Water and Pharmaceutical businesses by Eurofins is an extremely exciting sector opportunity and creates access for all of our customers to a significantly larger group of technical experts and an even broader range of food, water and pharmaceutical testing capabilities. Under Graeme's guidance in the UK, the business has developed into a highly regarded food testing organisation with access to Eurofins team of leading global technical experts. I plan to build on these solid foundations with the wider offering that this acquisition now brings."